CarGurus has 445 nationwide M35 listings starting at $2,900. The Infiniti M35 sedan receives a boost in power for 2009, in the form of a new V6 engine, and a new seven-speed automatic transmission. Power comes in the form of a new 3.5-liter V6, which produces 303 hp, a bump of 28 hp over the previous year's engine. However, torque drops off slightly, from 268 to 262 lb-ft, although few drivers will notice the difference. On the positive side, fuel economy improves slightly from 16/22 city/highway mph to 17/25 (for the Base trim only). In the Base M35 trim, the V6 engine links to a new seven-speed automatic transmission with a Drive Sport (DS) mode and a driver-adaptive algorithm, which senses the driver's style and makes adjustments to shifting patterns accordingly. The M35x trim with all-wheel drive, however, retains its electronically controlled five-speed automatic, which also features a Drive Sport mode and driver-adaptive algorithm. In an effort to keep pace with competitors such as the Mercedes-Benz E-Class and the BMW 5-Series, the luxury-oriented, rear-wheel-drive M35 sedan comes equipped with such key features as leather seats, 10-way power-adjustable and climate-controlled front seats, a power moonroof, a leather-wrapped steering wheel, African rosewood interior trim, and a six-speaker audio system with a 6-CD changer. Owners can also opt for a Sport Package on the Base M35 sedan, which adds a sport-tuned suspension, rear active steering, and 19-inch alloy wheels, among other features. 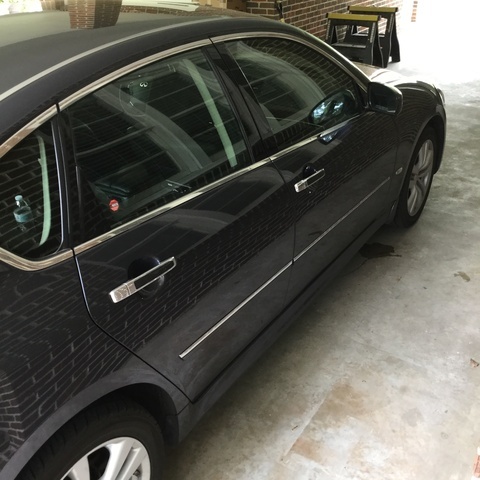 Other options include a Lane Departure Prevention System, which warns drivers when they start to drift out of their lane, and an optional rear-view monitor, which helps ensure safety when backing up. The M35's combination of luxury and performance seems to be doing something right, as owners have very few negative comments about the sedan. Handling and acceleration get high marks, as does the roomy interior and spacious 15-cubic-foot trunk. The highest compliments go to the optional navigation system, but the M35 receives low marks for its rough ride with the Sport suspension and small trunk opening. 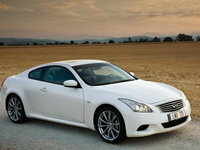 What's your take on the 2009 INFINITI M35? 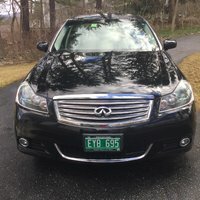 Users ranked 2009 INFINITI M35 against other cars which they drove/owned. Each ranking was based on 9 categories. Here is the summary of top rankings. 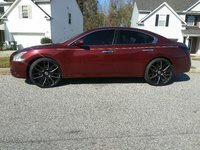 Have you driven a 2009 INFINITI M35? Can you replace the tires with different sizes and if you do does that create any issues?